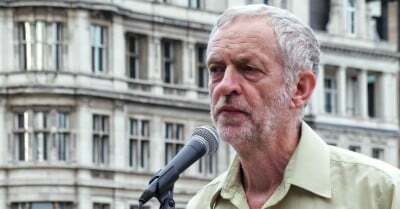 The near slanderous assaults on Jeremy Corbyn continue like calculated outpourings of hysteria, finding room in columns, and taking shape across the papers and commentary of the British political spectrum. No paper is seemingly sympathetic to this movement that still continues to stun the establishment, from toff to technocrat. The people’s labour movement is being sneered at, from the greyish, haemorrhoid fold of the Times, to the sceptical, constipated ranks of the Guardian. The former tends to be obsessed by Corbyn’s supposed inability to lead, given his evident lack of a nuclear edifice complex; the latter is characterised by regular reports that Corbyn has lost another portion of the electorate with the next statement, or principled stance. Polly Toynbee provided an example of the latter, suggesting that Corbyn’s principles – because we cannot have a politician who obviously has any – potentially lost him a good deal of support because he would not, under any circumstances, push the nuclear button. Like Christ, Corbyn had readied himself for the crucifixion. This needs a moment of consideration: a politician is regarded as suspect because he does not, under any circumstances, countenance the use of weapons that would exterminate living matter, rather than resolve a human dispute. Trident is psychological imperial refuse, a reminder of British insufficiency and self-compensation, rather than viable potency. There is nothing virile about having nuclear weapons in your closet, a sort of political Viagra when the chips are very down and people are walking away. Such potency suggests, as Germaine Greer did of Ernest Hemmingway, that when you cannot get it up anymore, you are bound to blow your brains out. The Labour Party conference evidently agreed, finding their own political Viagra hard to avoid. Corbyn’s attempt to even place the motion abandoning Trident for debate never materialised. He had to yield to his reptilian colleagues who fear the next unit dip in the polls. The main source of opposition came from the Unite and GMB unions who have demonstrated their own infatuation with the bomb complex. In taking this position, Eagle has to be credited with stellar marks in staged, perpetual hypocrisy, both in the British policy context, and that of international disarmament. (She did so before the party conference podium in front of the Labour slogan: “Straight talking. Honest politics.”) By all means we should insist on a world without nuclear weapons and an independent nuclear deterrent. Never say that British Labour cannot be the party of jingoes and the disingenuous when needed. In any case, such a weapons system is unusable, unless you have joined the ranks of the suicidal, mad or both. Some argue that the nuclear option can be put down more to diplomatic heft than actual usability. But this thinking is itself covered in the grime of obsolescence. Islamic State fighters could hardly care one jot whether Britain, France, or the US for that matter, can resort to such weapons. They simply won’t. The nuclear deterrent is the grandest lie of military history, and it continues to be sold as a well respected product. That such tendencies are acceptable, long assimilated in feeble military doctrine, says much about the durability of the ruse. The problem is not Corbyn, but the nuclear Viagra complex that needs systematic deconstruction.